Inspiration: Which Birkenstock is Right for You? Birkenstocks have always been all the rage in the Pacific Northwest. But lately, they’ve become a trend with no boundaries. New styles of Birks have made them more versatile for different clothing styles and lifestyles. 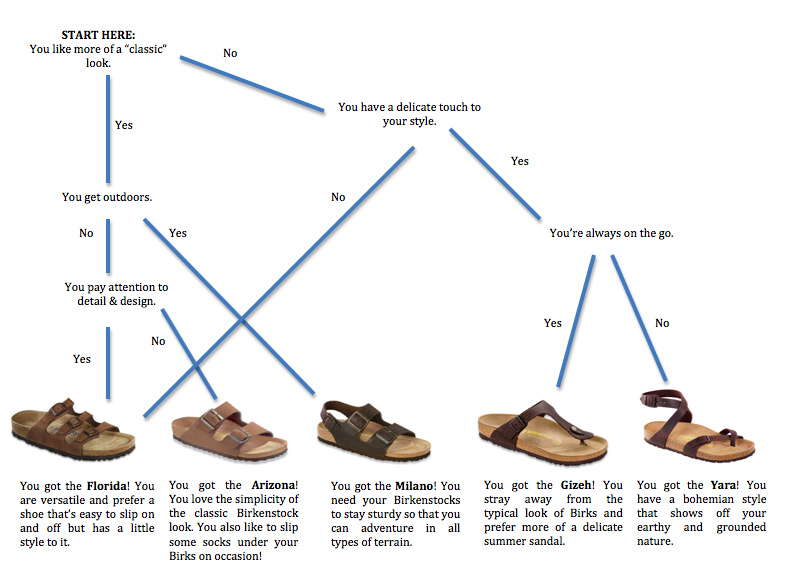 Take the quiz below to find out which Birkenstock is best for you!